A quiet walk at dawn is wonderful, especially when it’s been ages since you’ve been out. 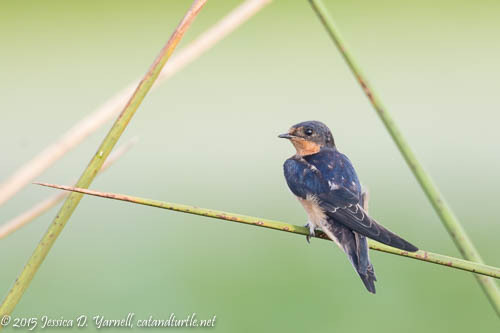 Fall migration is underway, and I headed to Orlando Wetlands to re-acquaint myself with my camera and see what I could see. After a gorgeous sunrise (more on that in another post), I couldn’t resist photographing a few bird silhouettes. 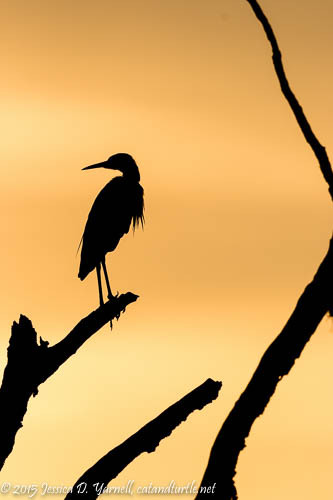 A Little Blue Heron and a Boat-tailed Grackle both posed on trees right in front of me, with the glow of sunrise behind them. I felt like I was saying hello to old friends. 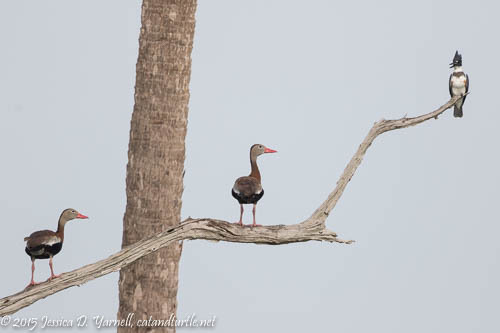 All around me were the typical wading birds, and Black-bellied Whistling Ducks sang as they flew in the early morning light. I heard this group of four sandpipers before I saw them. They flew in as a group and landed fairly far off the trail. I snapped a photo and then dug for my teleconverter. A Great Blue Heron fly-over startled them and they scattered before I got a closer look. 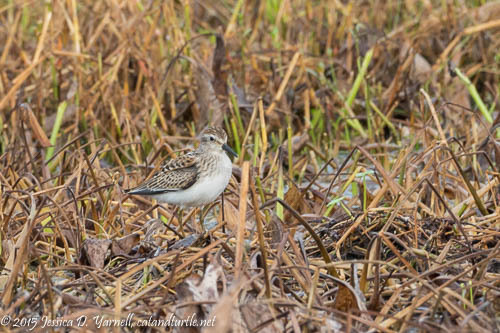 I’m pretty sure they were migrating Semipalmated Sandpipers. 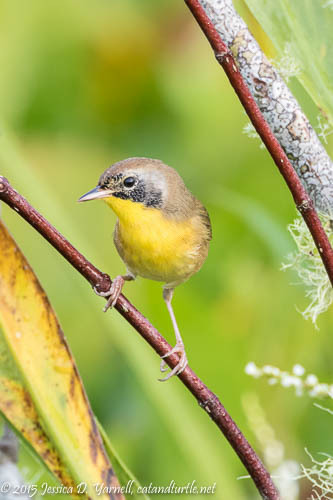 This little Common Yellowthroat (also known as Zorro in my family!) hopped around in the reeds and gave me some much-needed refresher training in finding and focusing with the Beast. This is a juvenile bird, just molting into his adult plumage. He was foraging for breakfast. He jumped from branch to branch in search of ants and spiders. 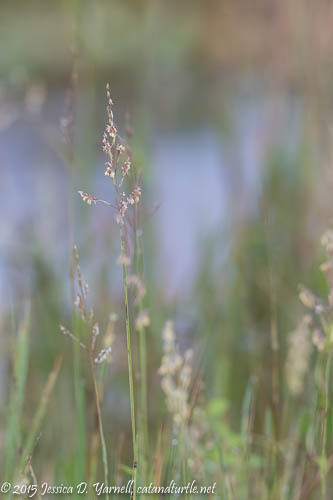 Every bit of the marsh was just teeming with life, and I smiled to myself thinking of someone who recently remarked, “it’s too hot to go out, and there’s nothing to shoot!” I focused on a flower and was amazed to find three bees and one tiny worm sitting on the flower’s tiny petals. 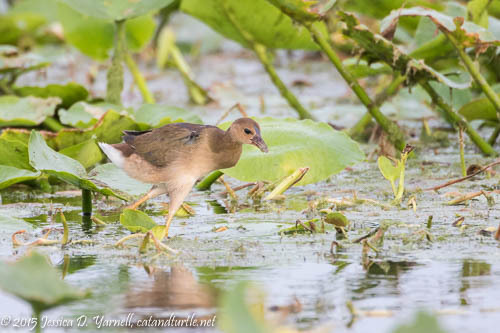 It’s pretty easy to find Purple Gallinules at Orlando Wetlands, and at this time of year, you can find juvenile birds who are starting to get their adult plumage. 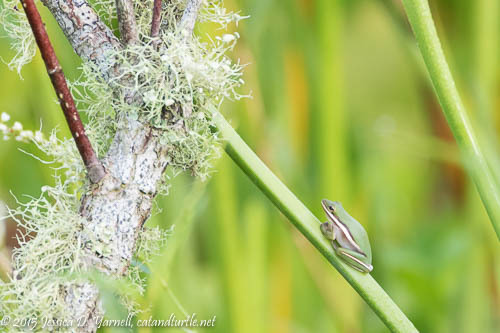 This one was playing leapfrog across the marsh plants. Then I came across a small flock of Barn Swallows. They were flying around like crazy, and the light was too low to try to get any flight shots. Photographing swallows in flight requires a lot of patience! I’ve heard some people ask incredulously, “do they ever land?” Well, on this morning, they sure did! They descended upon some reeds to preen. My camera went click-click-click as I took advantage of the unusual opportunity. 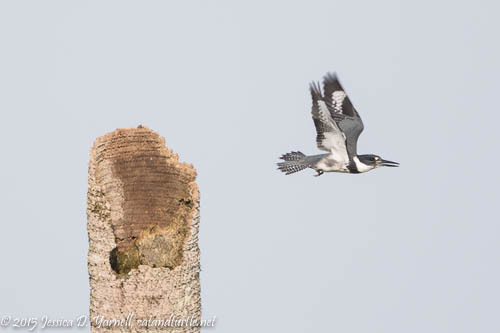 It’s always fun trying to capture the kingfishers in flight. They were making quite the racket as they chased each other! 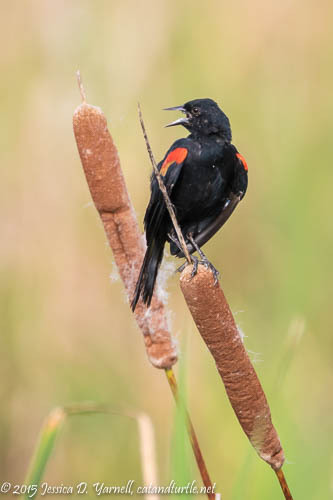 This Red-winged Blackbird posed on top of the cattails. He made me laugh as he sat there with his mouth wide open. Usually I have to time the shots just right to capture their mouths open while they sing. This guy made it too easy for me! 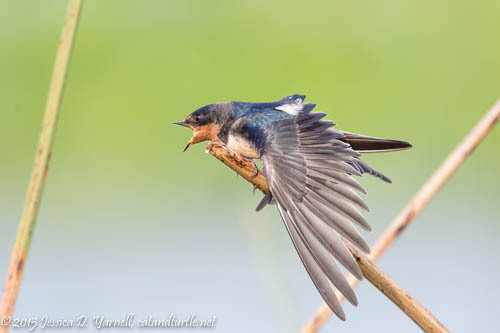 Love the swallow shots! I’m jealous as they never pose at eye level for me. Glad to see you were able to break out of work and get some fresh air. Hope to see you soon. Am I the one hat said it was too hot to shoot? Probably. ? Terrific series, even though it’s too hot to go birding …. 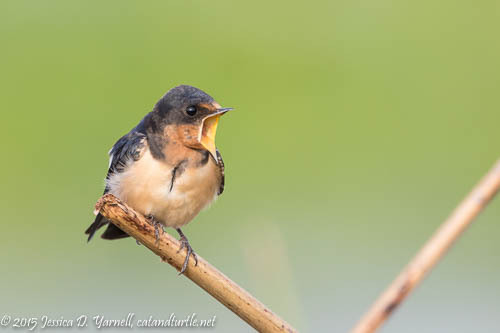 As Michael, said, the swallow images are special. I had no idea they landed on anything other than utility wires! Happy you got out for awhile. That’s a special place.